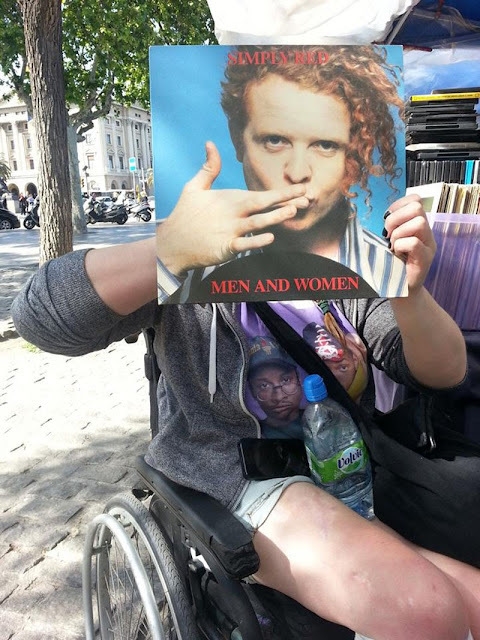 For a couple of years now Dublin-based Louise Bruton has been writing about music, pop culture and accessibility on her own blog, for the Irish Times and for a host of other publications. She started using a wheelchair two years ago and before that used crutches full-time, giving her more experience than most of how easy (or difficult) it is to get around Dublin when mobility is impaired. To this end, she's begun Legless in Dublin, a blog reviewing the various cafes, pubs, venues and shops she finds herself in, detailing things such as how easy it is to get through doors, whether everything you need is on the ground floor or not (and whether there's a lift to take you upstairs and down), what surfaces she encounters (wet marble will impair even the most mobile of us, after all), access to proper sized bathrooms, helpfulness of staff and more. All this with a healthy dose of humour means Legless in Dublin is a really enjoyable as well as a really useful read. Legless in Dublin takes a humorous and positive look at public places in Dublin, aiming to celebrate the venues and businesses doing well in terms of accessiblity rather than trying to catch anyone out. When interviewed over on The Journal, Bruton said that writing the blog so far has been an eye-opening experience for her and it's got great potential to be an eye-opener for the rest of us, too. Those of us designing or adapting spaces for public use could learn a lot from the blog, as could those of us running public-facing venues or businesses. On The Journal, Bruton recommends that when renting premises business owners could “think who can come in your front door. Try and give your business to buildings that are already accessible”. Though I don't design spaces and don't own a business, reading Legless in Dublin's been enlightening for me too, encouraging me to look at the spaces around me in a different way and it's a must-read for anyone interested in universal design (which should be anyone interested in design, right?). For insights into how accessible the fair city really is keep an eye on the blog for upcoming reviews and follow @leglessindublin for updates.